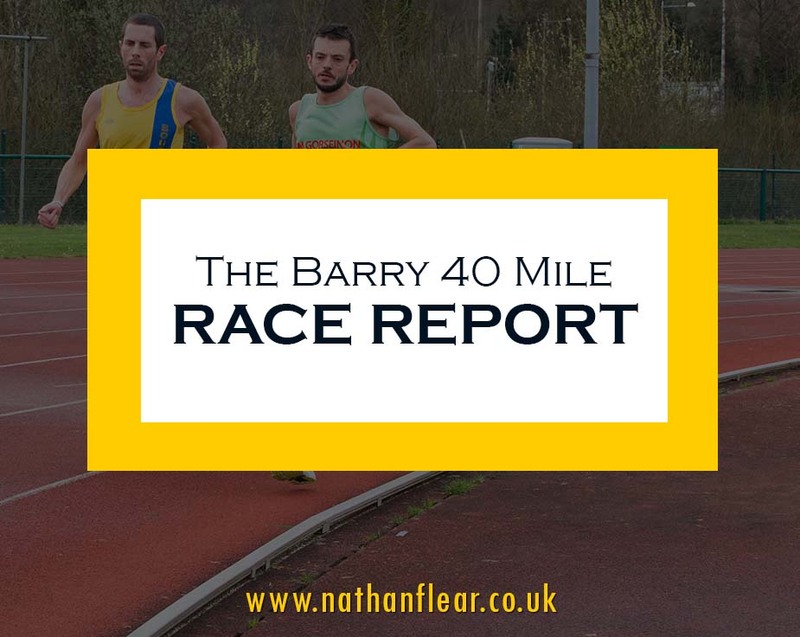 I’d been looking forward to this race for months, The Barry 40 Mile is ultra running at it’s purest in my opinion, 161 laps of an athletics track, no navigation or kit requirements to contend with just running. 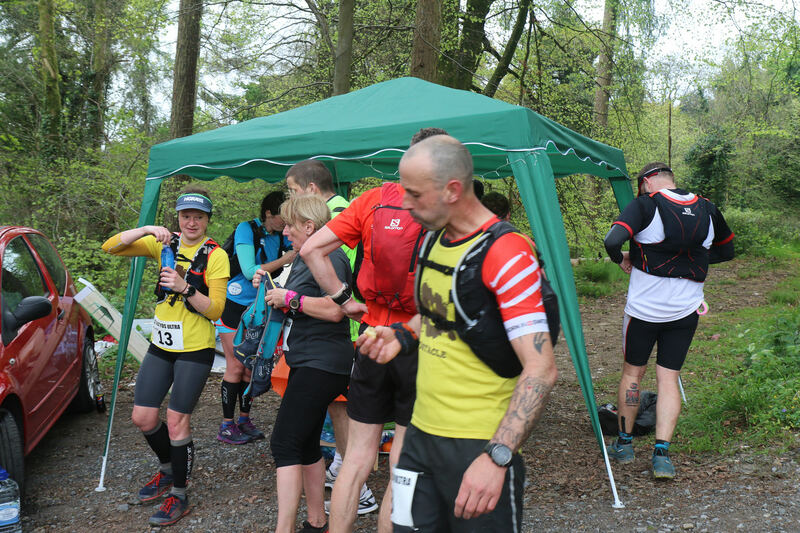 It’s also the oldest ultra in the UK and has seen some of the best Ultra runners ever running in it. This year the event was to be held in Cardiff instead of Jenner Park, Barry where it has always taken place, something to do with a double booking at the track but this was no issue for me. I needed to bring my own lap counter, Mick Mcgeoch the race director is clearly trying to keep the race as original as possible and this meant manual lap counting, I loved the idea of this so I brought my trusted No1 fan/wife Tori along with me to count me going round in circles. We turned up at the track at 9am, the race was to start at 10am. 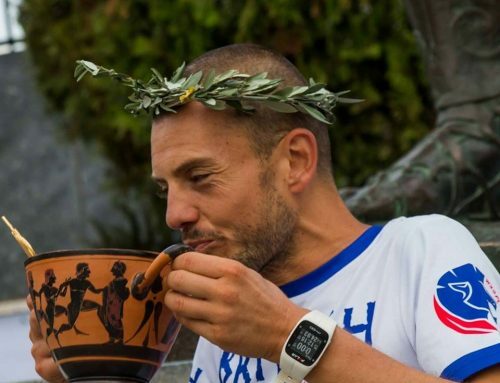 I spoke to Mick briefly, an extremely friendly and welcoming guy and seemed genuinely interested in me and my running, he’d clearly gone to the trouble of researching and finding a little out about me which was nice. I laid my gels, water, and tailwind drink out on the drinks table which was to be looked after by another legend in the ultra running world Pam Storey. 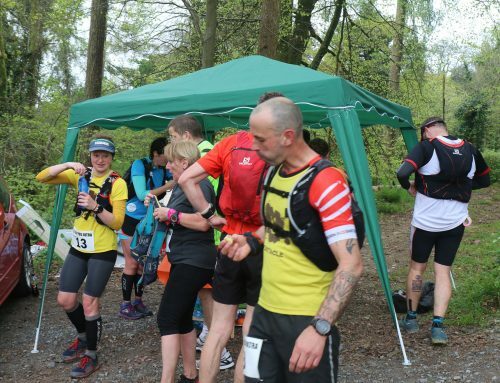 As well as the barry 40 mile race the race also incorporates the Welsh Ultra distance championship. This was my main goal for the race, a welsh Athletics gold medal and to be recognised as the Welsh Ultra Champion for 2017. I was going to be up against it in the main race, I hadn’t done much research on the other runners but I knew Steve Way was running, he won the race last year and broke the world age category record, and just incase you haven’t heard of him he also has the UK 100k record and represented Great Britain in the marathon at the commonwealth games, to say that he is a class runner would be an understatement. Now I’m not a negative person whatsoever and I always try to be confident going into races but I am also realistic and there was no way I would beat Steve Way at this distance. So the best I could hope for would be 2nd place in the open race and a gold medal in the Welsh championship. As it turns out, it wasn’t just Steve I had to worry about, there were other past winners and International runners present, Grant Jeans, Scottish and Great Britain International and previous winner of the race on two occasions, Jeremy Mower, soon to be my International team mate at the Anglo Celtic Plate, Alex O shea, Irish International. And a few others too including Ken Caulkett who was clearly going to offer some competition in the Welsh Championship race. I started conservatively, sticking to my planned 6:30 pace, my planned 10 mile splits would be 1:05, 2:10,3:15, and then try my best to hold on or race in the last 10 and get as close to 4:20 as possible. I wouldn’t worry how the others were getting on until the last 10 miles. Grant Jeans and Steve Way went out fast, I’d guess that Grant was doing 5:45 minute miles for the first few miles, I realised he was a class runner but wasn’t sure if he’d manage to hold onto that pace for too long, Steve looked strong and his sub 6 minute mileing looked effortless as he lapped me. I stayed behind Alex in 4th place, he was pacing it well and wasn’t getting sucked into the battle between the two in front. The order stayed the same from about 2 miles to 20 miles, Steve Way, Grant jeans, Alex O Shea, and me, with Ken Caulkett and Jeremy Mower having their own battle behind me for 2nd and 3rd in the Welsh Champs. I went through 10 Miles in 1:05:47 and 20 miles in 2:12:13, nearly bang on target. I overheard Steve say to someone that he was going to have to stop, he had been having trouble with his hamstring and felt that it wasn’t worth risking further injury so all of a sudden I was sitting in 3rd place, then a few laps later it looked as though Grant was dropping out, I think he was undecided about what he wanted to do as a lap or two later he rejoined the race, I sensed that Grant had had enough and decided to push hard for a few laps unlapping myself from him and putting myself in 2nd place, a few minutes later Grant had dropped out. I was now in 2nd place and a 3 laps behind Alex. I hit 30 miles in 3:21:34, over 6 minutes slower than planned and I was starting to slow even more, Alex was slowing too and we seemed to be running at pretty much the same pace but he was 3 laps, around 6 minutes ahead, I tried to push harder and at one stage seemed to be closing the gap but only slightly and probably resigned to the fact that Alex was going to win at around 33 miles, in hindsight I should have pushed a lot harder but I’d come for the Welsh championship and I was around 20 minutes ahead of Jeremy with 7 miles to go so providing I didn’t blow up or do something stupid I was pretty much guaranteed the gold, I think that subconsciously I knew this and the fact that I had never expected to win the race and would have been over the moon with 2nd overall and 1st Welsh before the race I was probably too content to sit in that position and just get to the finish. And that’s how it ended, Alex O Shea in 1st place in 4:29:16, me in 2nd in 4:36:01, and Jeremy Mower 3rd in 4:53:19. The Welsh Championship ended with me 1st, Jeremy Mower in 2nd, and Ken Caulkett 3rd in 4:58:40. The women’s race was won by another top class ultra runner, soon to be Welsh team mate and Great Britain International Natasha Farid – Doyle in 5:57:14. 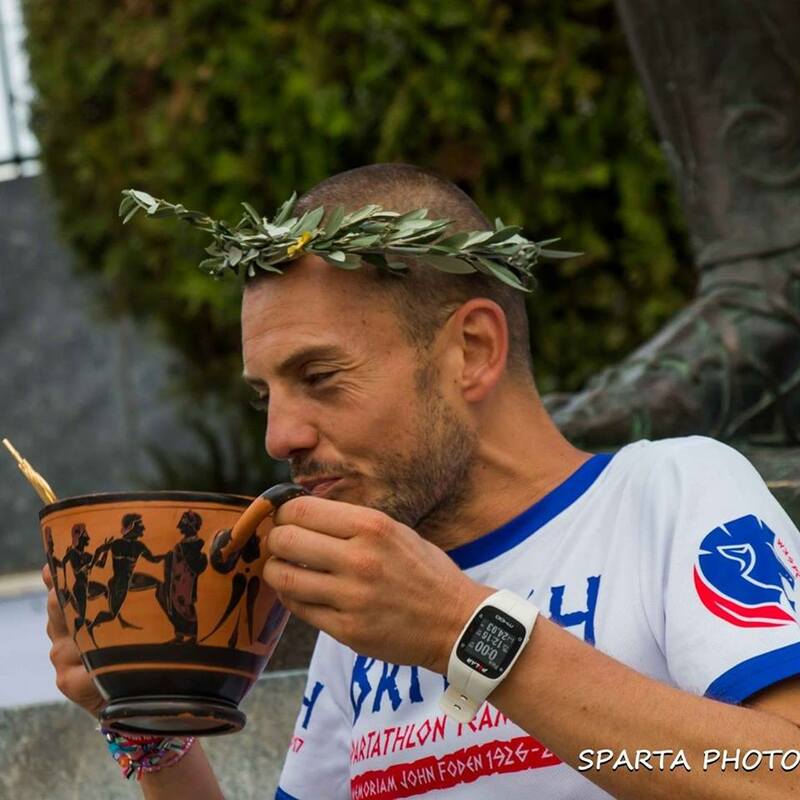 After showering and everyone finishing there was a short presentation where I was awarded my Gold medal, 2nd place trophy, and a Barry 40 finishers mug. I am extremely honoured to have taken part in the race with such top class ultra runners and proud to be the Welsh Ultra distance Champion for 2017. 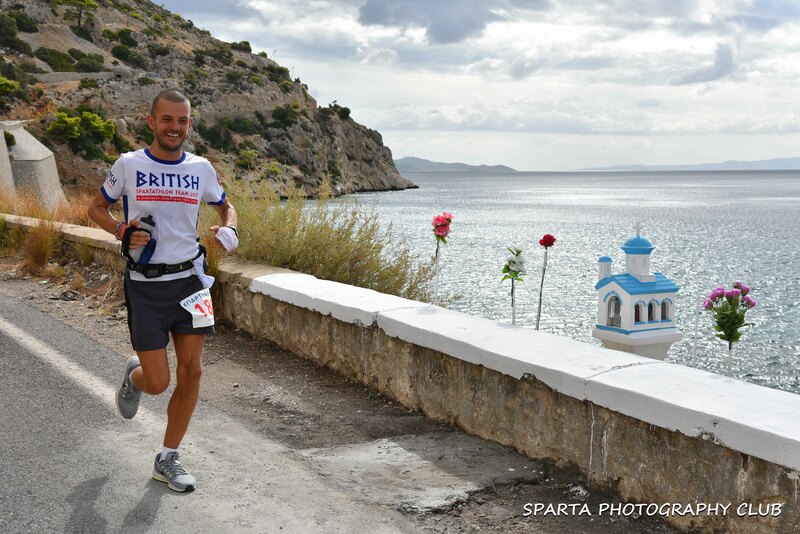 I learned a lot from the race and lessons I will be taking with me to the UK 100 champs in May. Congratulations to Alex O shea, a great win for him and I hope it helps with his goal for selection in the Irish 24 hour team for the World champs this year. I’d like to thank Mick Mcgeoch, Jen Coleman, Phil cook, and the rest of the team from Les Croupiers running club for putting on the event and allowing me to take part, thanks to all the supporters, lap counters, volunteers, and the other athletes for making it such a special day. Thanks to Tori for counting my laps and offering support and encouragement every 90ish seconds for 4 and a half hours, I love you! A great day and I can’t wait to go back again next year!